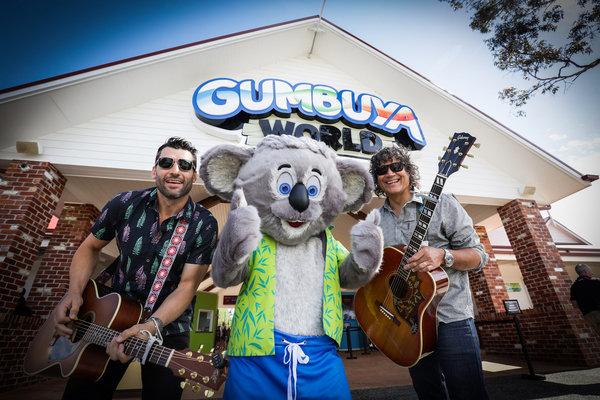 Melbourne’s newest and most exciting theme park, Gumbuya World, will host Oasis Summer Sessions, a pool party under the stars and twilight music sessions led by one of Australia’s most talented entertainers, Phil Ceberano. Regarded as one of the country’s greatest guitarists and musicians, Phil Ceberano is best known for his many successful years as Kate Ceberano’s band leader, creative partner, lead guitarist, vocalist and co-producer. “We’re thrilled to have Phil Ceberano headline our Oasis Summer Sessions from January until Easter. If you think Oasis Springs is magical by day, you should see it as the sun goes down and after dark. Chill out and enjoy some awesome live music and entertainment,” said Gumbuya World Business Director, Ron Weinzierl. 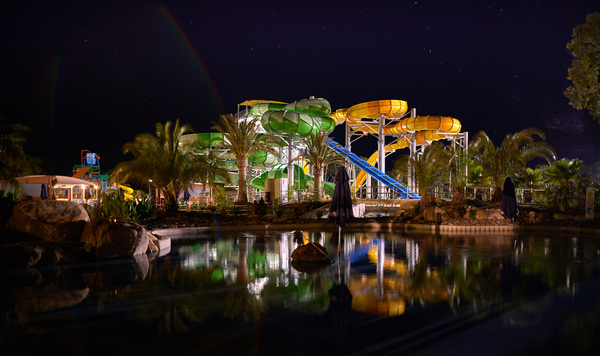 Even when night falls you’ll be kept warm in Gumbuya World’s 28 degree pools. Relax and wind down your week with a twilight session or go wild on the water slides and explore the wonders of Oasis Springs in the golden sunset with family and friends. For the adrenaline junkies, there are slides and attractions such as Boomerango and Taipan or catch the perfect wave on Surfs Up! For those who want to relax and take it all in at their own pace, there is the incredible 300 metre Lazy River. There’s a licensed bar, café, live entertainment, and unlimited access to awesome rides and attractions. Only 50 minutes south east of Melbourne, Gumbuya World offers an epic and memorable adventure fit for the whole family. There are four worlds to explore; Oasis Springs, Oz Adventure, Outback Explorers and Wildlife Trail. Gumbuya World is located at 2705 Princes Highway, Tynong, 3813 Victoria.